NAP6 is the largest ever prospective study of anaphylaxis related to anaesthesia and surgery. 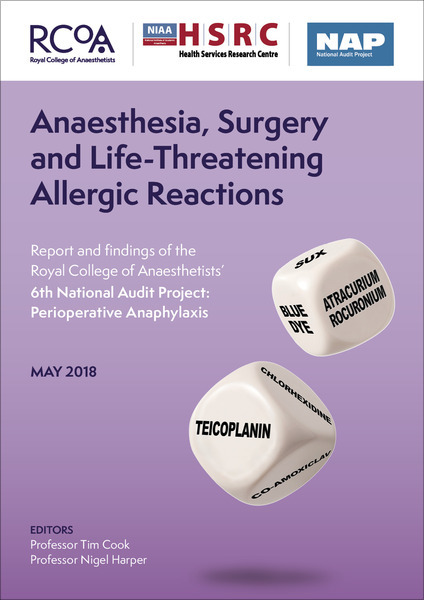 100% of NHS hospitals participated in NAP6, which studied every case of life-threatening anaphylaxis during 3 million anaesthetics given in the UK over a year long reporting period. What proportion of cases of suspected perioperative anaphylaxis are referred and investigated? How many are proven to be anaphylaxis and what are the culprits? How well does immediate management, referral and investigation match published guidelines? Is there a correlation between immediate management and outcomes? 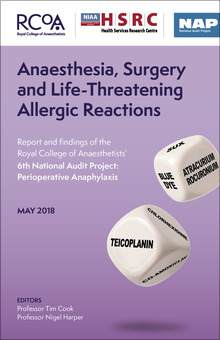 The findings of NAP6 were published as Anaesthesia, Surgery and Life-Threatening Allergic Reactions on Monday 14 May 2018. Some key findings of NAP6 are summarised on the NAP6 Infographic. Prof Tim Cook, College Advisor for NAPs, explained the selection process for this topic in the November 2013 edition of the RCoA Bulletin. Prof Nigel Harper was the Clinical Lead for NAP6.